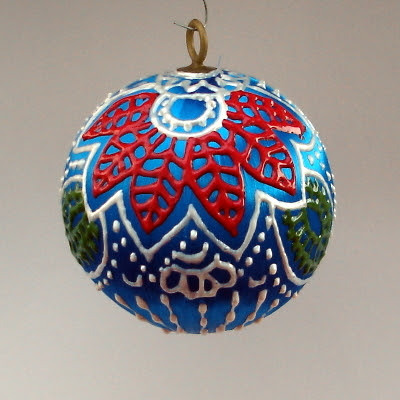 I was trying to think of some nice, reasonably-priced handcrafted Christmas gifts to sell at the Llano Fine Art Guild and other shops this season. 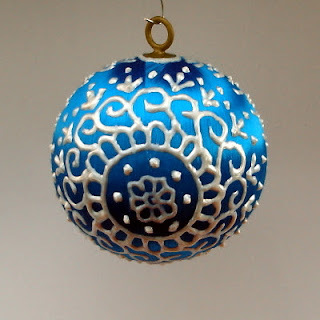 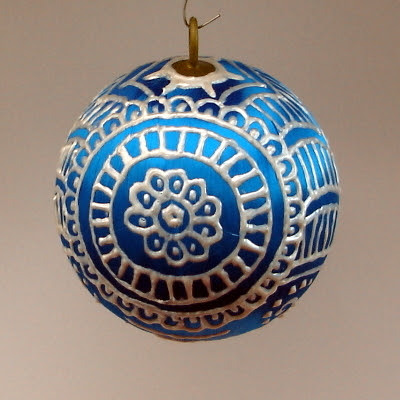 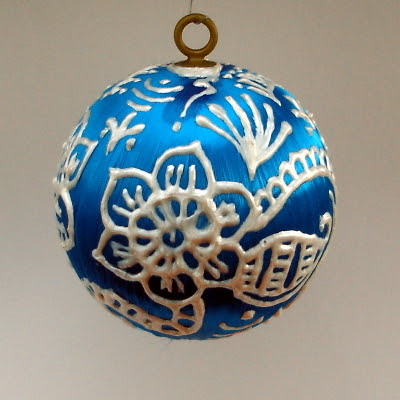 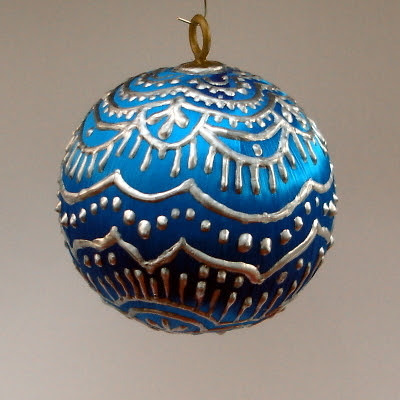 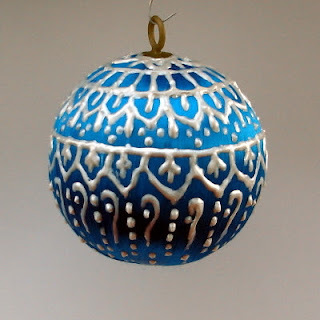 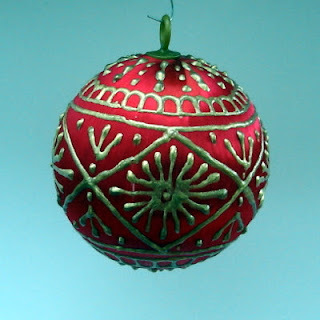 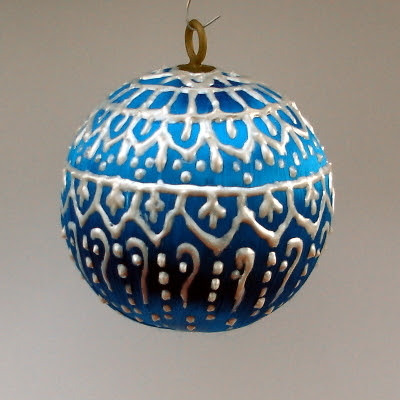 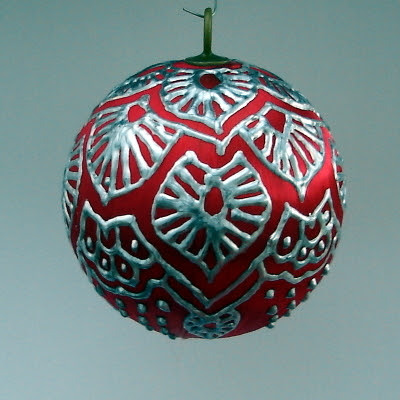 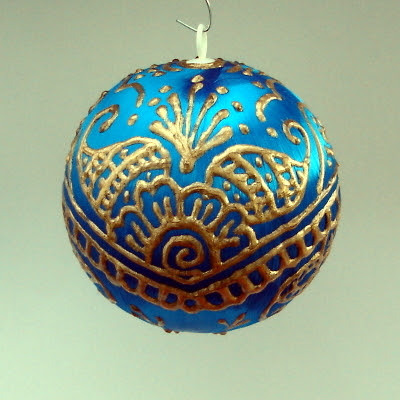 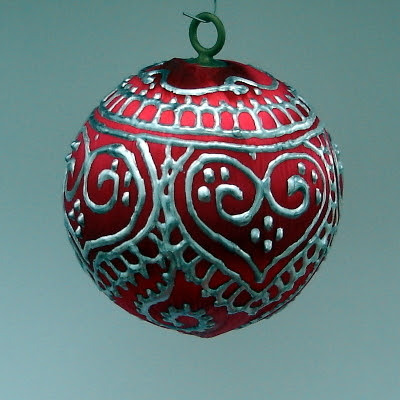 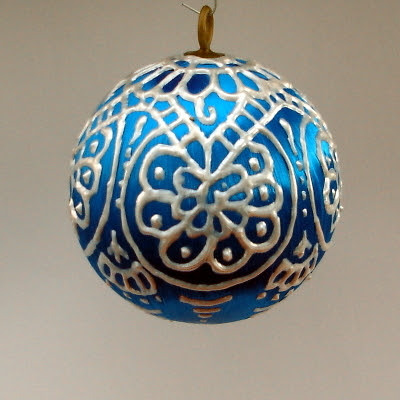 I made ornaments with Christmas tree balls and fabric paint many years ago and enjoyed them for years. 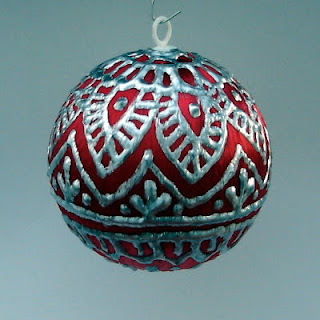 I got on ebay and purchased satin-covered styrofoam balls and fabric paint from Amazon. 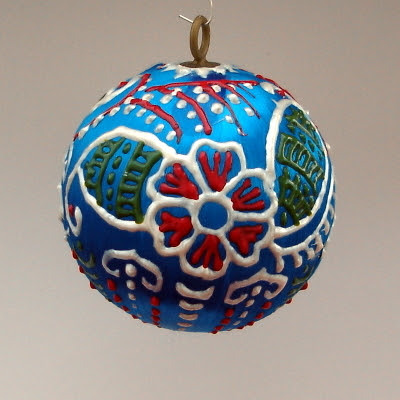 I made a few and really wasn't happy with the lack of control with the nozzles on the bottles and went looking for an alternative. 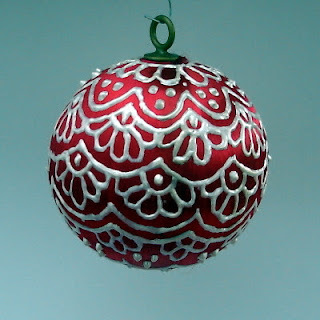 While looking at attractive patterns I came across henna-or mendhi-patterns that are just beautiful, but how do they get those wonderful thin lines? Aha! 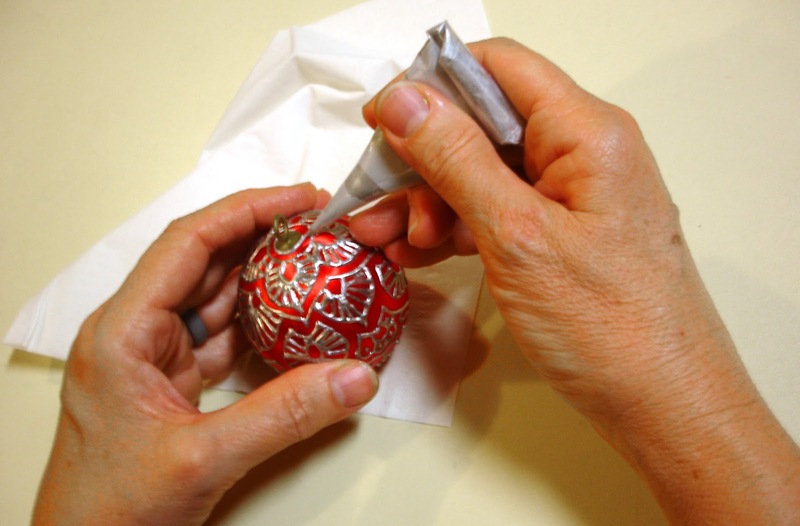 They use 'henna cones', handmade or purchased cones into which they load the henna paste, knock out the air bubbles, roll up and paint. 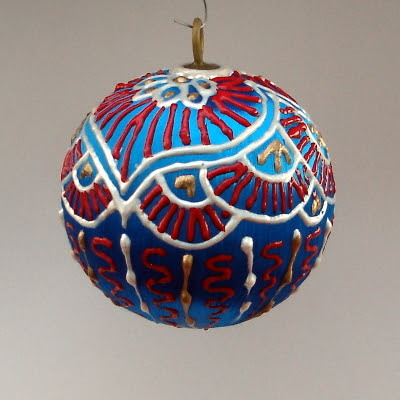 I take out the hook, skewer the ball on a sharpened dowel, paint it and let it dry 24 hours. Then the hook is glued back in and 'finished'. 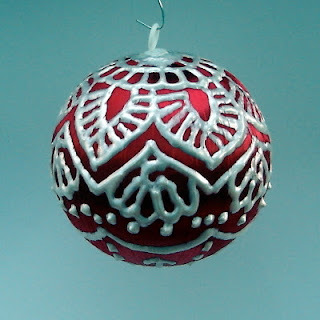 I've done quite a few and plan on making many more. I have some larger balls, but the ones pictured below are 2 1/2 inches across.